Dr Spranklin always found herself having a keen interest in health and wellness and a desire to help people become and remain healthy. Deanne was inspired to study Chiropractic whilst learning about the Chiropractic philosophy of allowing the body to heal itself by removing any interference. Dr Spranklin graduated from Macquarie University with a Bachelor of Chiropractic Science and a Masters of Chiropractic. The Editorial Board of the Chiropractic Journal of Australia awarded Deanne the prestigious “Research paper of the year” in 2007 for outstanding contribution to Chiropractic literature in 2006. During her university studies, she developed a passion for the Gonstead system of chiropractic and has attended many seminars to further her adjusting skills and knowledge of this system. 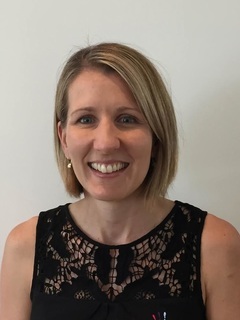 Along with her expertise in spinal health, Deanne has undertaken post-graduate study in pregnancy and paediatric Chiropractic care and is proficient in cranial work for children as well as specialized techniques for expectant mothers. Following 9 years of private practice in Newcastle and Brisbane, Deanne founded Cracknell Chiropractic in the south Brisbane suburb of Wellers Hill. Dr Spranklin is inspired to help people live to their full potential by providing safe and effective Chiropractic care for the whole family. Outside of office hours, Deanne enjoys surfing, cooking, travelling and continuing her volunteer work for The Boona Baana Centre for Children’s Rights, an orphanage in Tanzania. Each December on “Green Door Day” Deanne donates her adjustment fees to these Tanzanian children and we enjoy a fun day with a sausage sizzle, raffle and prizes. Dr Rebekah Tho (Chiropractor) Dr Bek knew from a young age, helping people thrive in life with their health was the avenue she was to pursue. Chiropractic found her in her final year of her Bachelor of Science degree through her sister who had great results from Chiropractic for her own health. Dr Bek was born in Malaysia, but grew up in Papua New Guinea. She graduated with a Bachelor of Biomedical Science from the University of Queensland and a Doctor of Chiropractic degree from New York Chiropractic College. She then returned to Australia and spent the next 4 years in the beautiful town of Bowen in North Queensland looking after families of all ages. With pursuing more study in the areas of Chiropractic (particularly in paediatric care), she decided to move to Brisbane. The principle that underpins her approach with giving her patients the best care possible is firstly looking at the cause of why symptoms that people experience is being expressed. The body has a remarkable ability to heal itself if there is no interference and so looking at overall function is the main approach. ​Outside of the practice, Bek loves to spend time with her friends and family. She enjoys playing sports, being by the beach, and cooking. Rebekah has a passion for newborns to the elderly and everyone in between to help in guiding them in their journey from surviving to thriving in all areas of their life, especially with their health. Her passion is to help people get well and then stay well. Arna Taylor is the owner of Greenstone Acupuncture and a specialist in Acupuncture and Traditional Chinese Medicine. With extensive experience in Acupuncture, Arna has helped many people restore balance, relieve pain and enhance wellbeing through the practice of Traditional Chinese Medicine. This incorporates the use of cupping, laser therapy, gua sha, heat, liniments, Chinese dietetics, exercise therapy and Tui Na massage. Arna’s interest for ancient Chinese philosophy and Traditional Chinese Medicine (TCM) came from her passion for healing, a passion that seems to be ingrained in her entire family with her Aunt also an Acupuncturist. Leaving her native New Zealand to travel and explore the world, Arna confirmed that a professional career in Chinese Medicine was for her, and after moving to Brisbane and marrying her husband, Patrick, she began to study. After seven years of tertiary education, and two kids, Arna attained a Bachelor of Health Science (Acupuncture) graduating with distinction. Arna is registered with the Chinese Medical Board of Australia (CMBA), a full member of the Australian Acupuncture and Chinese Medicine Association (AACMA) and graduated from Endeavour College of Natural Health in Brisbane where she also works as a contract tutor to assist other budding acupuncturists and health practitioners. Julia is a registered Acupuncturist. Her inspiration lies with preventative medicine. Julia has travelled and worked extensively in U.K. as a Registered Nurse and as such she has witnessed the benefit of maintaining and promoting health. Her philosophy is to work with her clients to make positive changes to restore balance and improve quality of life. Her interests include stress management, women’s health, menstrual disorders, IVF support and acute and chronic musculoskeletal injuries. Julia's other interests are men’s health, immune support, sleep disorders and general tiredness. As a previous gynaecology nurse she has a well developed balance of East and West philosophy when it comes to women’s health, infertility and IVF support, pregnancy and post natal support. Julia is very passionate about Chinese medicine, she has an acupuncture accessories business that helps students and practitioners to refine their clinical skills and assist client relaxation. Julia enjoy’s gardening where she grows fruit, vegetables and a number of cooking herbs. She also loves the outdoors, especially camping on the beach or in the bush with friends, family and her dog - Frankie! Kym is a mother to two active boys and a wife to her husband Sean. Having studied Radiotherapy at university, Kym has a medical background and has worked in this field in both Brisbane and Townsville. She enjoys keeping fit with bootcamp and can often be seen shuffling along at the Stones Corner parkrun on Saturday mornings. Her other interests include candle making, coffee and chats, and her new-found talent of tap dancing. Cayley is studying Philosophy, Politics and Economics at the University of Queensland. When she isn't busy studying or manning the front desk at Cracknell Chiropractic, she can be found exploring the art world. Creating art herself or admiring the work of others is a big passion of Cayley's. She also loves travelling, exploring different cultures, and is always planning her next overseas adventure. Cat is a busy mother of three children and a wife to her husband Simon. She loves living in Tarragindi and has a passion for stand up paddle boarding. Prior to joining the Cracknell Chiropractic team in February 2017, Cat spent 15 years working for Qantas and thoroughly travelled the globe. She loves customer service and looks forward to meeting many new faces.